I cannot believe that December is already in full swing! This year has just flown by and I have still so many things to tick off my Christmas list. 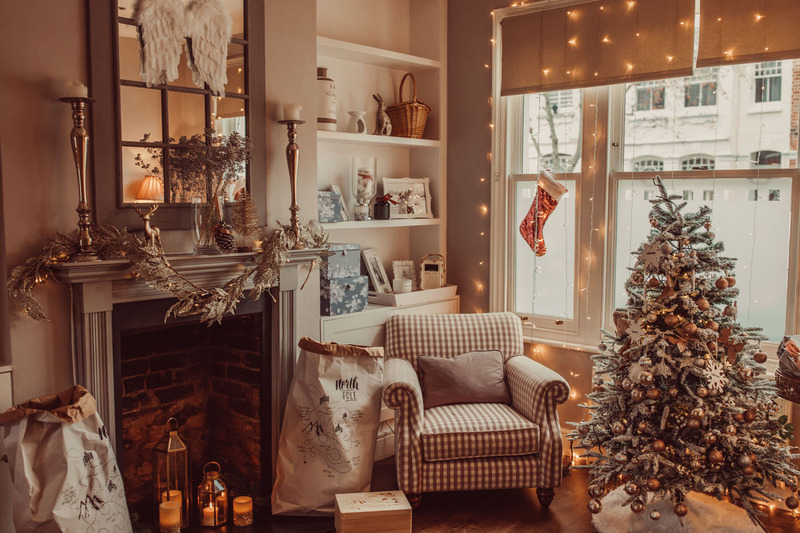 Below is how I decorate my home for Christmas, creating a beautiful space for my family and I. How do you decorate your home? After adding the last touches over the weekend, I’m happy to report that my decorations are finally all up and I’m so happy with the result. This year I really wanted to go for champagne tones mixed with rose gold and a touch of shimmery white. I’m so pleased with the way it has turned out, and not even my husband minds the pink living room too much (hehe). It came out so beautiful. 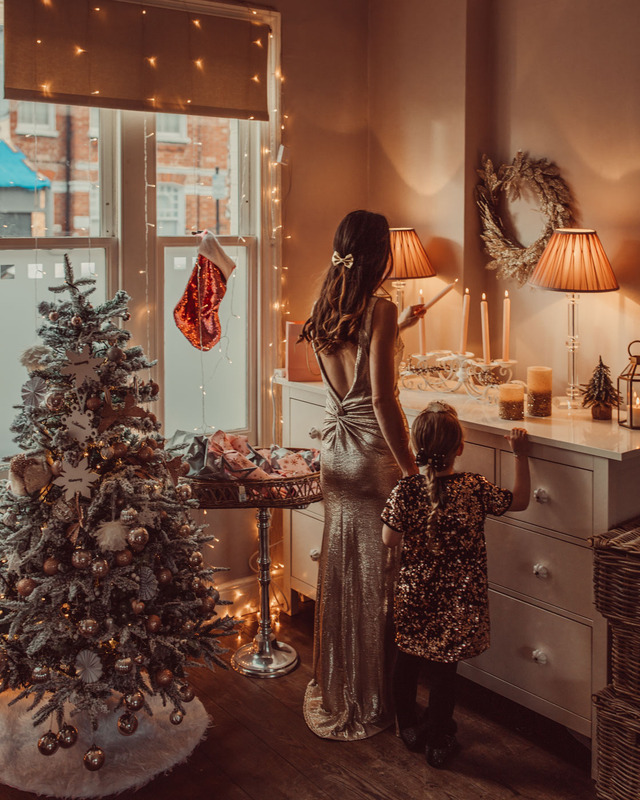 Christmas really is my favourite time of the year, perhaps because when I was little it was a moment that we all adored and celebrated a lot. Every year we would follow the same tradition. In the night of the 24th me, my sister and our parents would go out for a pizza. On the way back home, me and my sister would count all the lights up the trees, challenging each other to find more. Once at home we’d light the fire and we played our Disney Christmas sing-along videotape, the same one every year. We watched that videotape so many times that I still remember the songs and the images so vividly. After panettone we would head to bed, full of excitement and anticipation for the morning ahead. We were no spoiled girls but at Christmas our parents would alway buy us loads of gifts. I now appreciate so much what they done for me and I want to keep doing the same for my kids so that we are starting our own little traditions. We love to spend Christmas here in London but this year will be extra-special as we will fly to Italy on the 26th to spend some time with my family as well. I cannot wait! 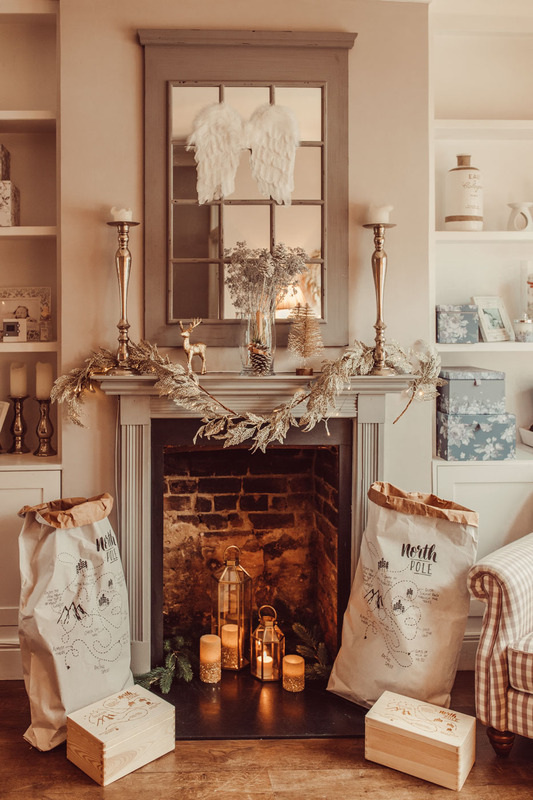 It has become quite a tradition to get some new pieces from Laura Ashley at Christmas to decorate our home with. This year I picked some amazing and classy pieces. The champagne lit glitter wreath is gorgeous and looks perfect above my chest of drawers. 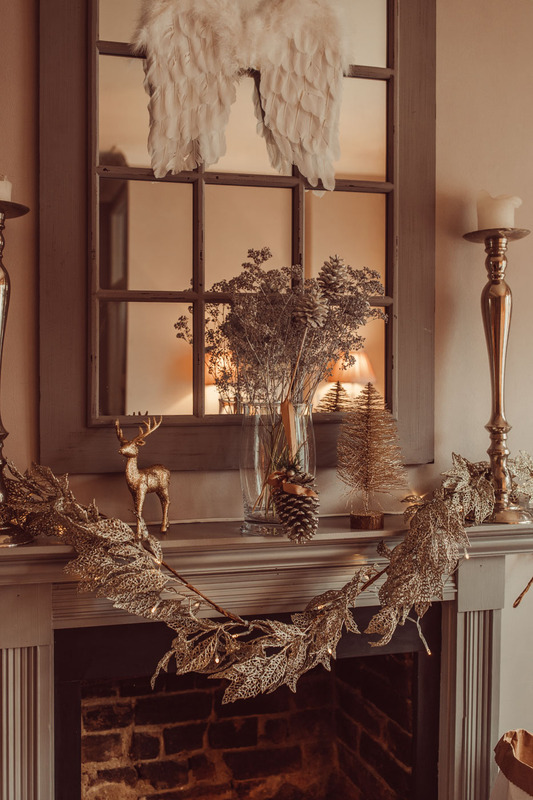 I picked the matching champagne lit garland for the fire mantel and, to add some cozy warm lights, I went for the large and small hexagonal brass lanterns. They are so cute and perfect to go with the set of three lit champagne candles. 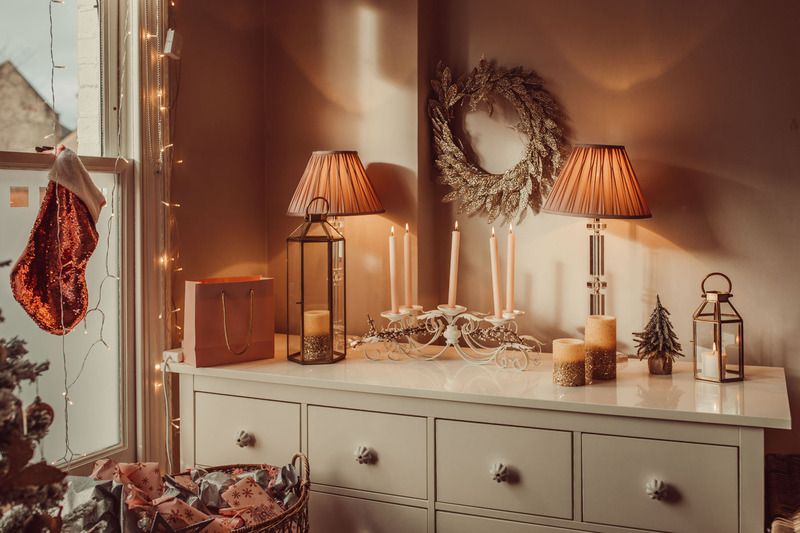 If you have kids and you are worried about having candles around, these battery operated ones are perfect to put inside the fireplace to give the room that cozy glow. You might recognise more pieces from the Laura Ashley collection but you know, I’m a huge fan! 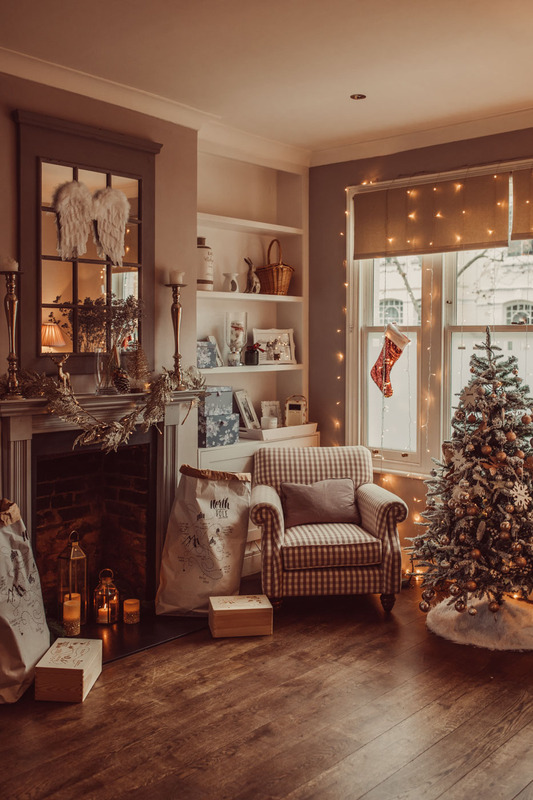 What do you think of this year’s decor? 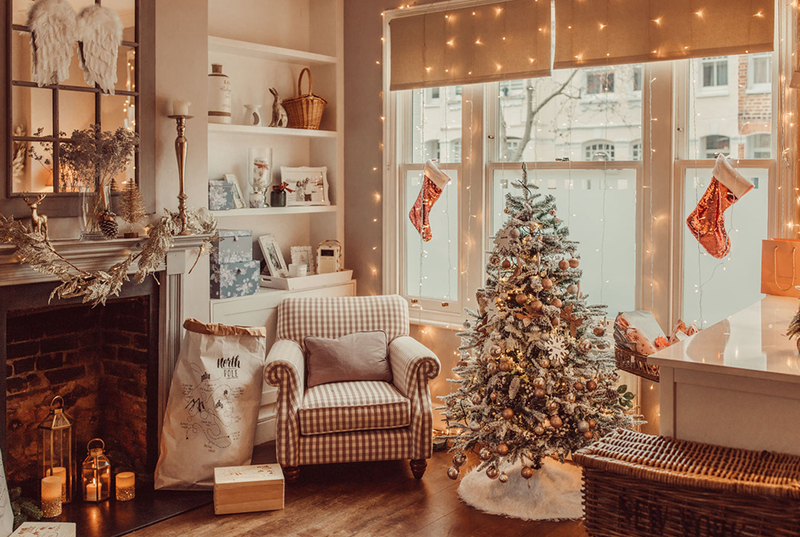 I’d love to know how you decorate your home for the festive season.